In February I had been working on Linux (Ubunut) for a couple of years without paying too much attention to the system. However I had to reinstall Ubuntu on a new laptop through the corporate firewall and VPN, plus make all the special built company tools to work. It was a nightmare. The combination of being blocked by the firewall, not having access on the VPN and missing drivers and libraries for building the tools forced me to really learn about the OS – the hard way. I got so tired of reinstalling that I decided to cheat and use VM (virtualbox) instead. I did not get repelled by Linux, instead I got really fascinated by the flexibility and community around the OS. I have changed distro to Arch, that was the weirdest thing I ever seen when I first tried it out. I thought I couldn’t get more geeky. 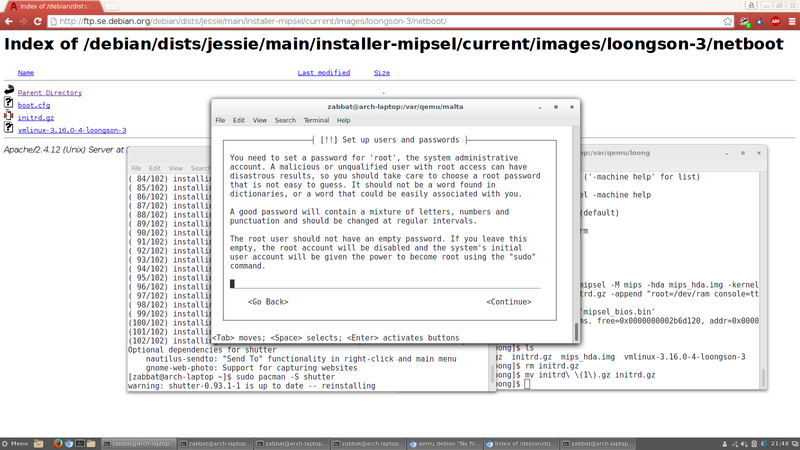 Until today, when I realized that I am installing debian on a mips processor through qemu on my arch, so that I can easily objdump mip elf files (because my router is a dlink and I am curious how it works). This screen shot pretty much summaries my experience with encryption 500 GB HD on windows.